Among children's literature there is an undoubted masterpiece - "Tales of the Moomin Troll." These kind, funny, touching and unusual stories woke up in the hearts of many children and adults the very feeling that makes us cleaner, stronger and wiser. They want to reread again and again. Glory to Tove Jansson! Fortunately, there were those who not only wanted to re-read the books, but also to bring them to life. Television producer Dennis Livson showed such an initiative and was rewarded by the love of fans of the work of Tove Jansson. It was he who, having visited the island of Kylo, realized that this was Moomin - the valley. Just not enough buildings and characters. So in 1993, on the island in the middle of a beautiful forest, a wonderful theme park “Moomin Country” appeared, which became a paradise for fans of books. It is open to the public from June to August, and in February for just a few weeks. The rest of the time, the Moomin trolls are sleeping. Exact dates need to know in advance, because There are minor changes in the work of this wonderful place. 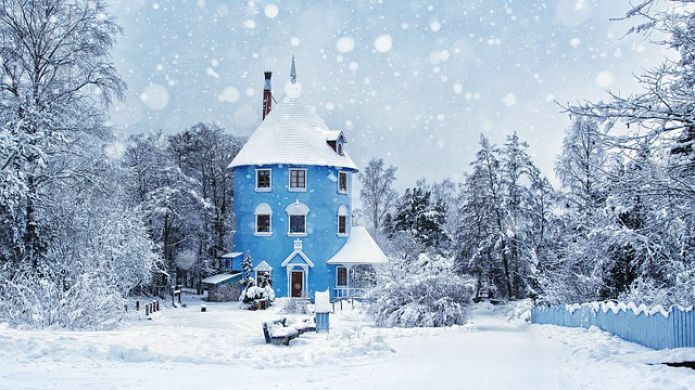 One of the brightest buildings in the Mum-lobe is the blue Moomin house located in the center of the island. The rooms of the family members, the kitchen, the basement with the jam, the attic and the furnishings - everything is like in a book. Four floors full of delight. The dimensions of the premises and furniture are designed for the growth of a ten-year-old child. Children can freely move around the wonderful house and touch everything they want. In the fabulous park there is a post office with which you can send real letters to any corner of the world and other "state-owned" institutions: the local police station, the prison, the fire station and the Snork power station. Hemul lives in a nice yellow house, which will definitely show his collections. Do not forget to go to the camp to Snusmumrik and look at a visit to Sniff. Be sure to visit the hatifnat's cave and the home of the most mysterious character - Morra. Visitors to the park recommend seeing the sorceress's house, where you can see the ingredients for potions and even sniff them while the old witch whispers spells. The Emma Theater has hourly performances in Finnish and Swedish. Near the water are the swimming pool, the Tuu-tiki naval school, the frigate of the Moomin Father, the submarine Snorka. Dodo Edward is drifting in the lake, and, they say, he has not crushed anyone yet. 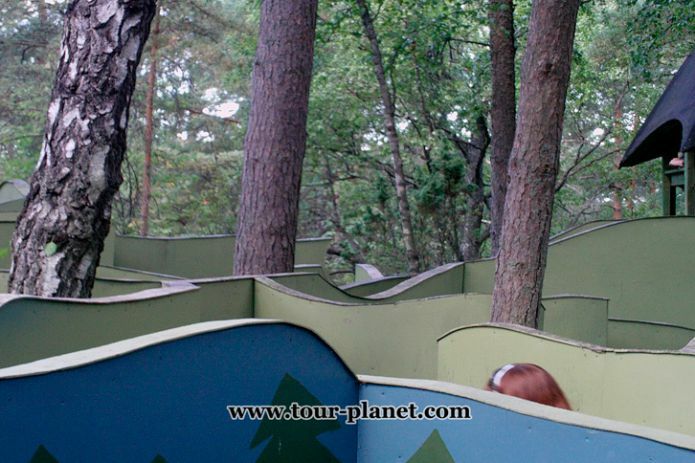 In addition to the interesting buildings, in the Moomin Share you can walk along the hanging bridge over the waterfall, shout in the Whispering Forest, get lost in the maze and walk along the barefoot trail. The island is surrounded by a lake and has beaches for relaxation. So do not forget to take bathing accessories with you in the summer. The park has many excellent themed cafes and food points: ice cream, hamburgers, pizza, sweets, salinity and, of course, dishes from the Moomin-Mama cookbook that you just can not try. Of great importance is the fact that during the cooking only hypoallergenic products are used. Visitors are allowed to bring food with them. In specially equipped places you can fry sausages by yourself. In addition to the Moomin family in the park, you can meet a lot of characters from the books of Tove Jansson: from baby Mu and Schnyrk to Filifonki and Homs. And they all sincerely welcome visitors, especially small ones. Before you come to a wonderful park, you just need to read “Moomin Tale”. Then you can enjoy the Moomin atmosphere to the full. 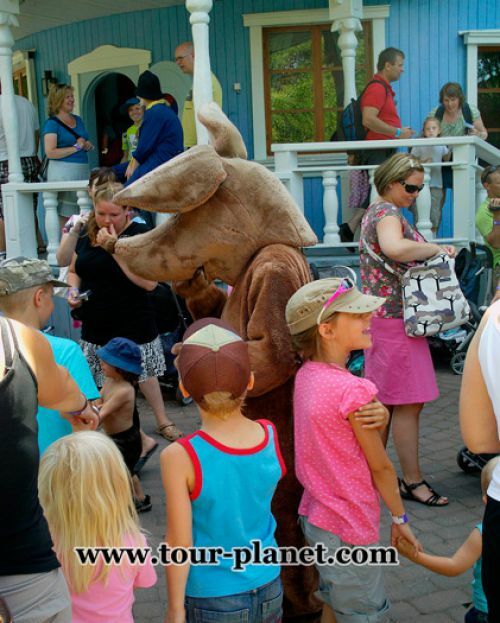 Moominworld is located in Naantali on the south-west coast of Finland, about 16 kilometers from Turku and 180 kilometers from Helsinki. The first thing you need is to get to the nearest major city of Turku. You can take a train from Helsinki and Tampere. (from June 26 to July 30) Moomin bus can be reached from the port of Turku and from hotels located in the city center. Parakhodik Ukkopekka will take you from Turku to the harbor of the old city of Naantali directly by sea. This pleasant journey through the magnificent archipelago takes a couple of hours one way. If desired, you can take Ukkopekku only in one direction and go back for example on the bus. Departure point, schedule and many other information can be found on the Ukkopekka website or by phone: +358 (02) 515 3300. In the town of Naantali there are very narrow streets, and the city is quite miniaturized, so the issue with a parking space during the season is very acute. It is much easier to leave your car in the pick-up parking, from where a bus will take you to Moomin Park. Parking for visitors mummy park costs € 10 per day. You can pay for parking in cash or with a card, Parkman and Easypark are also accepted. The cost of parking includes the cost of the trip (there and back) on the bus to the Old Town of Naantali. From a stop in the city just a few hundred meters to the island of Moomin. When using the navigator, specify the address: Tuulensuunkatu 12, Naantali. Head towards Turku and then follow the signs to the Naantali and Moomin car park. 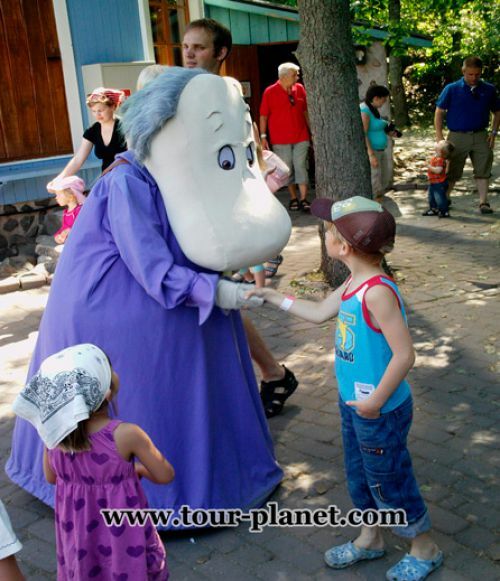 A great place to stay with children, Moomin trolls are charming and kind.